Quinta del Mar is a new vineyard that we first made in 2012. It is near Nipomo, just north of Santa Maria, and enjoys a mild ocean influenced climate similar to our finest sites in Santa Barbara. We are excited for the quality and potential of these young vines, and to work with a new grower, Alex McCullough, who is focused on high quality farming. A small crop was easy to ripen in a fairly cool year with ideal harvest conditions. We were able to bring all of our fruit in under perfect conditions. The wines of 2015 all have a lot of intensity and acidity. 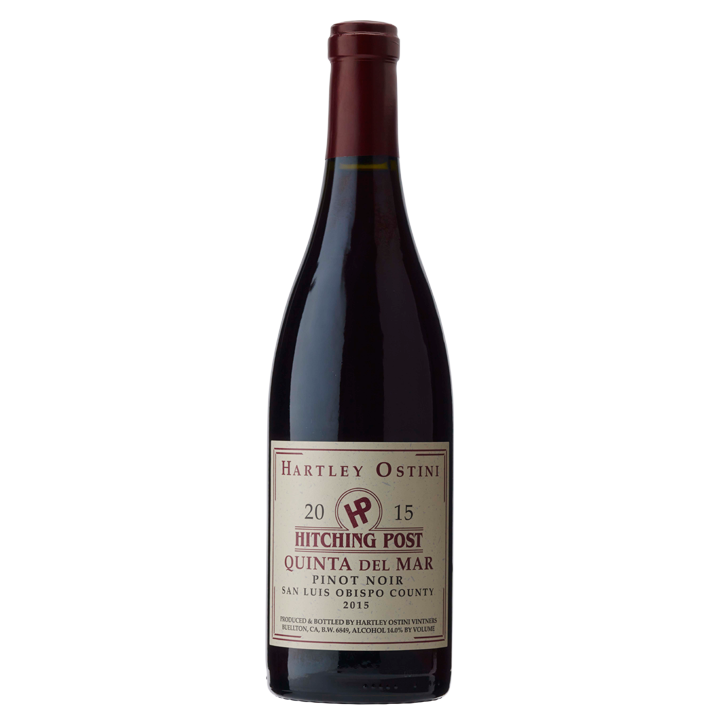 At first the aromas are closed, and slowly open to show raspberry, blood orange, and spice. A bit angular at present, it gains roundness with air, and will continue to grow as a more complete expression of Pinot Noir as it ages in bottle. Buy some extra and enjoy this over the next five years.